Kids love to do things ‘all by themselves’, right? And toddlers, more than most. They love showing Mum and Dad that they can eat and drink without help. Make sure you avoid any mess and watery puddles with a kid’s drink bottle. We have dozens of options available, depending on your child’s age, gender and style. Which little girl doesn’t love the movie Frozen? Grab an Elsa and Anna stainless steel design. We know lots of boy are Peppa Pig fans! We have 400ml stainless steel bottles just for him. Then, there are all the other fun themes, like the Wiggles, the Very Hungry Caterpillar, Peter Rabbit, Aqua Girl, Minnie Mouse and more. 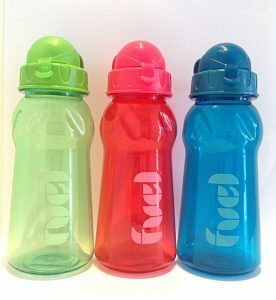 Browse our large collection of children’s drink bottles.